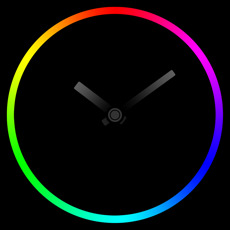 Download Premium Clock Plus and enjoy this beautiful clock on your new iPhone or iPad. - Swipe on screen to switch clock style. - Option to show or hide date. - Option to show or hide second hand. - Option to set reminder or timely notification. - Extra option to dime your device screen.